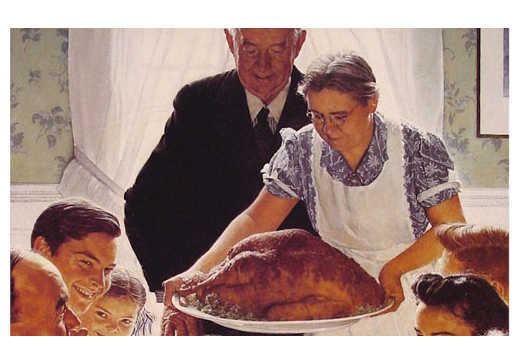 Thanksgiving is the ultimate family holiday. No presents, no pressure – just good old fashioned together time. But if the thought of all that bonding under one roof seems a bit overbearing, consider hotel rooms…in Chattanooga. The road trip will be a refreshing alternative, and there are plenty of places to grab Thanksgiving Dinner from a kitchen you don’t have to clean. If you&apos;re looking for a unique way to enjoy a delicious Thanksgiving meal, hop on board the Southern Belle Riverboat for a holiday you won&apos;t forget. Enjoy a delicious lunch or dinner that includes turkey, ham, green bean casserole, and, of course, plenty of dessert to satisfy your sweet tooth. After your meal, take a tour of the Pilot House, listen to live music, and enjoy a scenic two hour cruise along the Tennessee River. Enjoy live music and a buffet style Thanksgiving dinner on The Grand Chandelier Deck of Pier 2 aboard the Southern Belle Riverboat. Fill up on turkey, mashed potatoes and gravy, and a few of your favorite Thanksgiving foods before enjoying a scenic one-hour cruise down the Tennessee River. 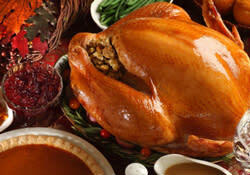 Thanksgiving Feast at the Chattanoogan Hotel SOLD OUT! 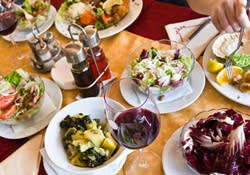 Enjoy Thanksgiving with family and friends at The Chattanoogan Hotel&apos;s Thanksgiving Feast. Executive Chef Tanner Marino and his excellent culinary team will prepare a delicious meal featuring dozens of traditional and innovative dishes such as braised beef short ribs, bourbon glazed ham, and boursin whipped potatoes. To make a reservation, please call (423) 424-3700. Enjoy a delicious turkey dinner with spectacular views of the Tennessee River this Thanksgiving! The menu will include roasted turkey breast, creamy mashed potatoes with a savory gravy, green bean casserole, cornbread stuffing, and a slice of great pumpkin pie with a scoop of gelato for dessert. Reservations required. Beast + Barrel&apos;s infamous Thanksgiving buffet is back and better than ever this November. Enjoy herb crusted prime rib, smoked turkey, oyster stuffing, mac n&apos; cheese, and a slice of bourbon pecan pie that will put your grandma&apos;s cooking to shame (sorry, Grandma!). Reservations are preferred and can be made at (423) 805-4599. The Hamilton Place Mall may be closed on Thanksgiving, but Sticky Fingers will be open for their annual holiday buffet! 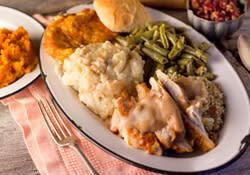 The menu includes smoked turkey, cornbread stuffing, creamy mac &apos;n cheese, and a variety of their other Southern sides. If you&apos;d rather enjoy your Thanksgiving meal at home, pre-order your meal online and get your full Thanksgiving Dinner to go. Stay focused on family and friends this Thanksgiving and let Ruth&apos;s Chris do the cooking. Enjoy a three-course dinner with oven-roasted turkey breast, sausage and herb stuffing, homemade gravy, and cranberry relish. They&apos;ll even send you home with some Thanksgiving leftovers for you to enjoy the next day! This Thanksgiving, let Puckett&apos;s Grocery & Restaurant do the cooking for you! If you want to enjoy a home-cooked meal without having to lift a finger, Puckett&apos;s is here to help. This year, the southern-style restaurant is offering holiday meals to-go. Enjoy a selection of meats from turkey to beef brisket and a variety of classic southern sides like green bean casserole and cornbread dressing to go with. Orders can be placed through Nov. 19 and can be picked up the day before or on Thanksgiving morning.